The Russian soul is a very powerful thing, if the country's literary giants are to be believed. Not even every Russian can be said to have one — and even fewer foreigners. But there are some people who undoubtedly feel the inexplicable pull of Russia more than others, regardless of their country of origin. American actor Steven Seagal has visited Russia several times and enjoys a good relationship with Russian President Vladimir Putin — the men have bonded over their shared love of martial arts. 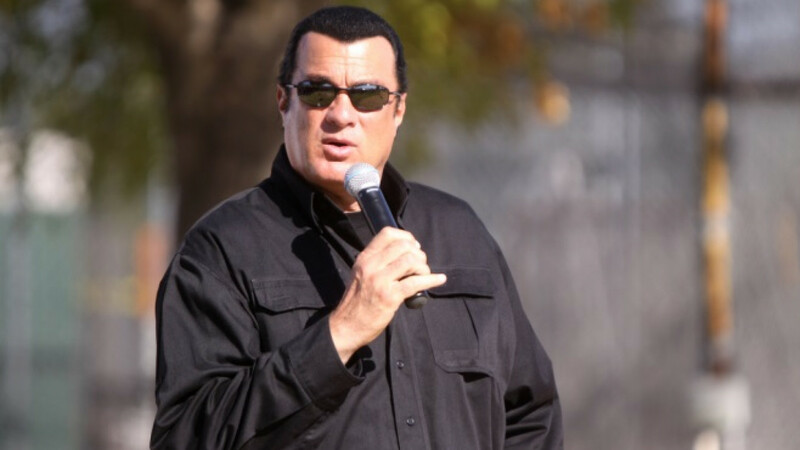 But while the action star is best known for his roles in films such as "Above the Law" and "On Deadly Ground," Seagal might have joined Putin in politics if the Russian president had his way. According to a Buzzfeed report from last week, Putin asked President Obama in 2013 to appoint the actor as an honorary Russia consul in the U.S. states of California and Arizona, though the Kremlin later dismissed the report as inaccurate. Seagal was also at one stage lined up to work as a brand ambassador for iconic Russian weapons maker Kalashnikov Concern, though the plans were dropped after relations between the United States and Russia soured over the Ukraine crisis. That didn't stop the U.S. hard man coming to the defense of his friend over the annexation of Crimea, however, telling government-supported daily Rossiiskaya Gazeta that Putin's "desire to protect the Russian-speaking people of Crimea, his assets, and the Russian Black Sea military base in Sevastopol … was very reasonable." But it's not just Putin with whom Seagal enjoys a close relationship. 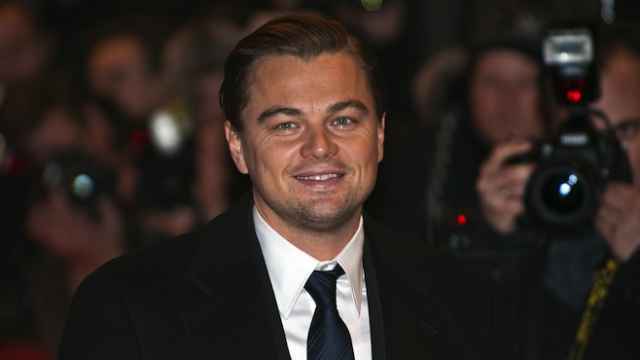 The actor and film producer has close ties to Chechen leader Ramzan Kadyrov and has visited the southern Russian republic at least twice. "I hope that in the future, I will become part of this republic," Seagal was cited as saying by Rossiiskaya Gazeta during a visit to Chechnya in 2013. "Ramzan Akhmatovich [Kadyrov], I will always be your friend." Award-winning French actor Gerard Depardieu went one step further than Seagal and became a Russian citizen in 2013, after leaving his native France in a protest over that country's unfavorable tax regime. And it didn't take long for Depardieu to take his new citizenship to heart, partnering up last year with luxury watchmaker Cvstos to produce a line called "Proud to Be Russian." The slightly bizarre promotional video for the line can be found below. 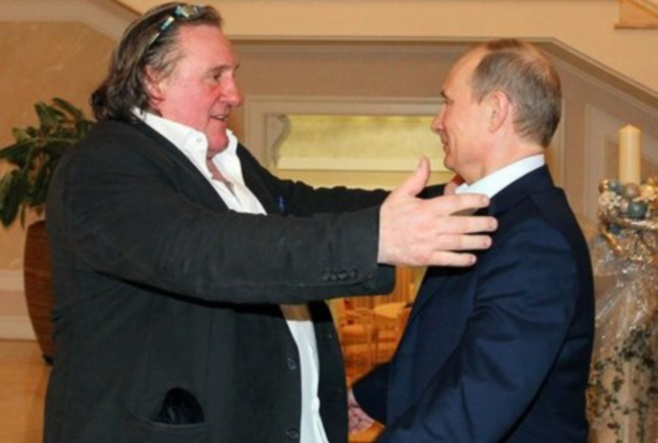 Depardieu, like Seagal, also enjoys a friendship with the Russian president that dates back several years. In 2013 he even went as far as comparing Putin to Pope John Paul II, according to a report by Britain's The Guardian. "I will say what I think about Putin: The Russian nation needs a person just like this — with a Russian temper. 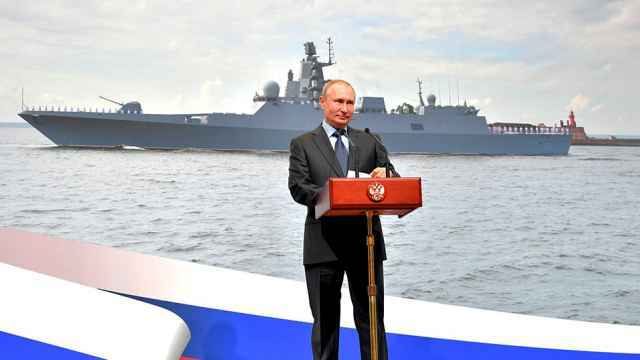 Putin is trying to return just a bit of dignity back to the people," he was cited as saying in the report. Depardieu has starred in at least two films set in Russia, including playing the title role in a film about historical figure Rasputin, and last year he appeared in the Russian sitcom Zaitsev+1. 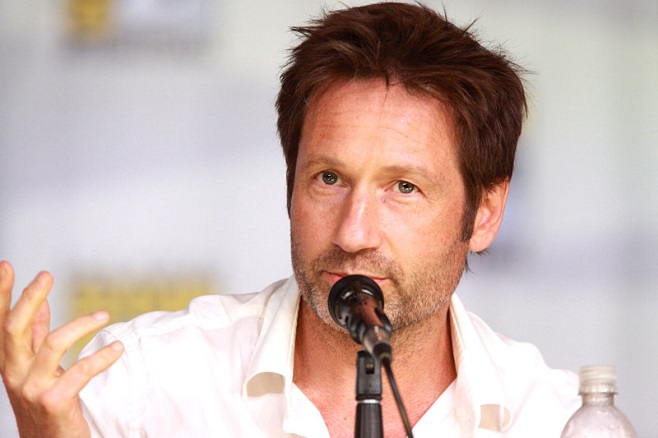 Although he grew up in New York and his mother was born in Scotland, the paternal grandparents of American actor David Duchovny hailed from eastern Europe. Inspired by these ties, Duchovny last year starred in an advertisement for the non-alcoholic version of the Russian beer Sibirskaya Korona (Siberian Crown), in which he imagined what life would have been like if he had grown up in Russia. "There is another country where I got my family name from, and sometimes I wonder what if things turned out differently, what if I were Russian?" he says in the ad, which has been viewed more than 8 million times on YouTube. Duchovny's light-hearted Russian fantasy shows him embarking on such diverse careers as a cosmonaut, a hockey player with a gap-toothed smile, a ballet choreographer and even a polar explorer. 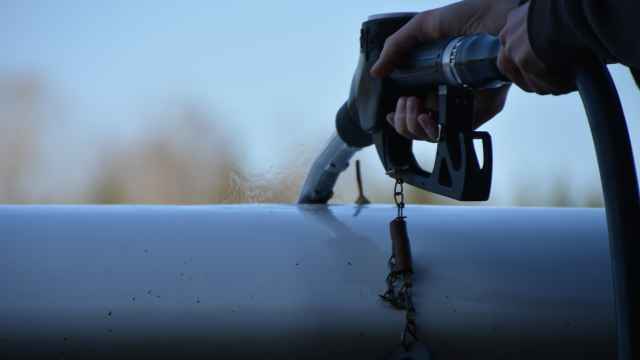 The actor faced some criticism over timing of the ad, however, as it was released the same month that Malaysian Airlines Flight 17 flight was downed over Ukraine. Adding to the uproar was a comment Duchovny had tweeted just two months earlier: "I grew up thinking I was Russian only to find recently that I've been Ukrainian all along. Never too late to change." Actor Mickey Rourke wears a T-shirt with an image depicting Russia's President Vladimir Putin, as he visits a souvenir shop at GUM department store in central Moscow. Mickey Rourke, like Seagal, is another hard man who has a strong affinity for Russia and its leader Putin. The American actor — and amateur boxer — was in Moscow last August for the launch of a patriotic T-shirt line, and he even queued up to get his own garment with a photo of Putin's face on it. "I've actually met Putin. I had a good feeling about him, and we got along very well. He seemed like an OK guy to me," Rourke told reporters at a press conference in Moscow three months later. 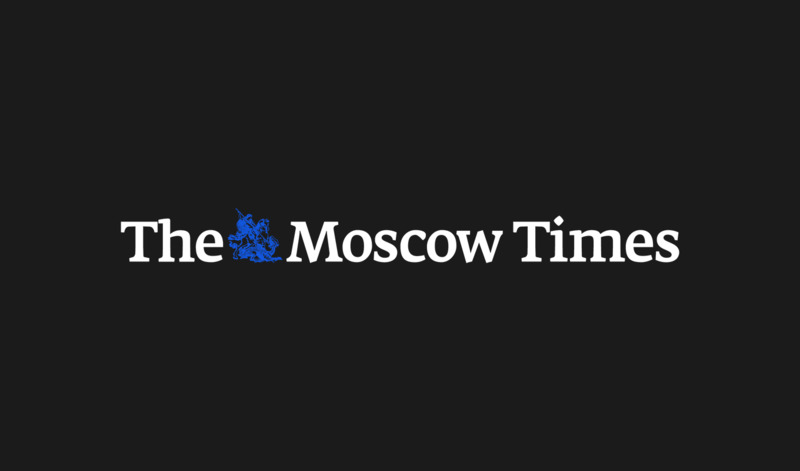 The 62-year-old actor was back in Moscow in November for an exhibition boxing match, in which he took on and defeated an American boxer half his age in his first fight in 20 years. Rourke's love for the country could be influenced by his partner, the model Anastassija Makarenko, who hails from Russia but now lives in the United States.